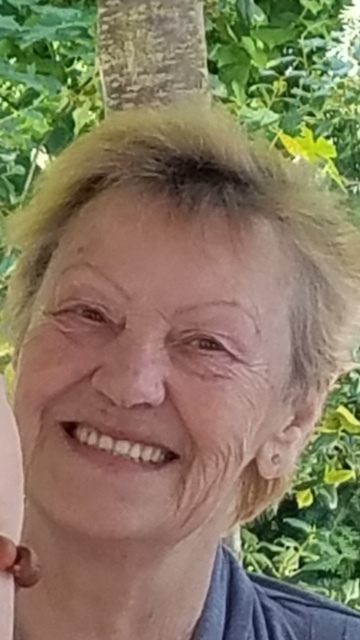 Veronika Miketish, 75, of Gifford, passed away with her loving family by her side Saturday, April 13, 2019, at Buffalo General Hospital, in Buffalo, NY after a lengthy battle with cancer. Born January 27, 1944 in Ceschin Poland, she was a daughter of the late Johann and Maria (Srcrupak) Aniol. During the cold war her family was forced to leave Poland and was uprooted to Munich, Germany where she attended high school. On April 3, 1968 in Munich Germany, she married Robert D. Miketish who survives. Prior to her marriage she worked at AGFA camera factory and was a seamstress designing and making clothing for others. She came to the United States after her marriage and worked at AirCo Speer, Case Cutlery, and retired from Zippo Manufacturing. She loved to garden, play bingo, go to the casino, but most especially enjoyed time spent with her family and grandchildren. Surviving in addition to her husband Robert of 51 years, are two daughters, Rhonda (Mike Roller) Miketish, of Gifford, and Natalie (Angelo Fuqua) Miketish-Brown, of Gifford, two sons Robert J. (Dawn) Miketish, of Gifford, and Mark (Sarah Zalwsky) Miketish, of Olean NY, two brothers, Carl Aniol, and Adam Aniol, both of Munich Germany. She is also survived by her 12 grandchildren who affectionately called her "Oma", are Tyler, Codi, Nathan, Kyleigh, Robbie, Mason, Mark, Marina, Manoah, Mia, Jasiah and Nia, two great grandchildren, Brysen and Kendyn and several nieces and nephews. Along with her beloved dachshunds Mickey and Heidi. Friends will be received on Wednesday April 17, 2019, in the Hollenbeck-Cahill Funeral Homes Inc. 33 South Ave., from 4:00 PM to 6:00 PM. At 6:00pm funeral services will be held with Rev. Stanley Swacha, Senior Associate of St. Bernard Church, officiating. Memorials contributions if desired, may be made to the Hilltop Baptist Church Gifford, PA 16732. Sorry to hear about your family loss. My thoughts are with you all. I remember when my dad would pick on Veronika and how sshe would give it right back to him. I have very fond memories of Veronica from when I was a kid growing up across the street. She was a fantastic lady and I''m sure she will be sadly missed. Thinking of you all. My deepest condolences. I will Play for Hits soul. ?????? All our love and strength to each of you. My heart goes out to your whole family. You all reflect the strength of character and positive energy that your mom end grandma exhibited. Her spirit will remain alive in all of you. Hopefully this will comfort you when remembering this amazing life force. I''m so sorry for loss.. My thoughts and prayers are you all.. I''m so sorry for your loss! May she be at peace and always watch over you. May God comfort you and give you strength. ?